A dream not only engineers and service engineers, a hydraulic cylinder without tubing and connections, the major cause for failure due to leakage. 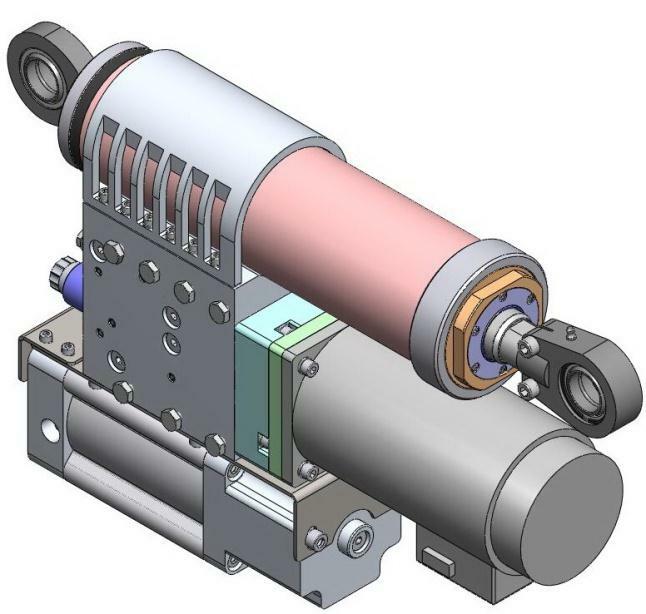 Power supply is the only connection needed for the linear actuator, plug and play! 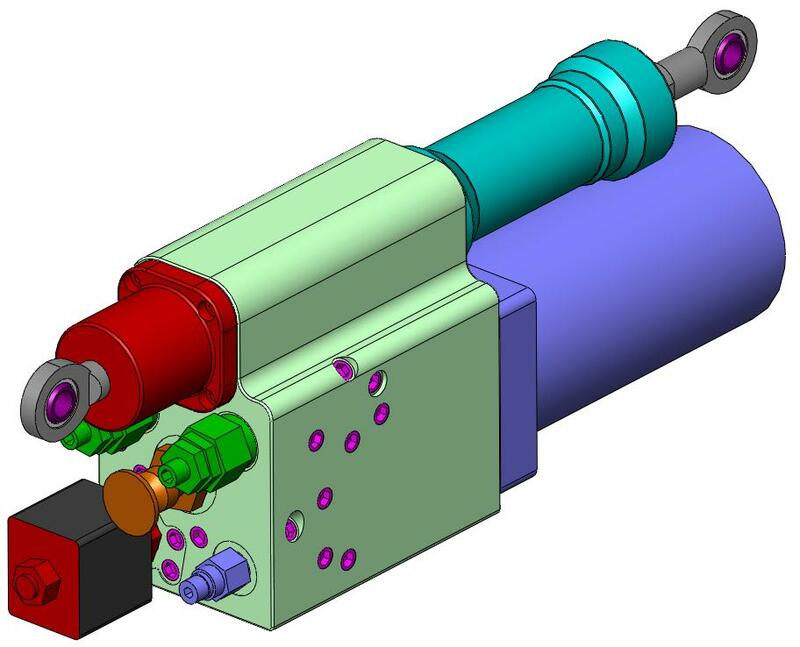 The ultimate alternative for mechanical or electric linear actuators. Less parts, hardly any wear, smooth, easy to control movements. This especially when for instance a high force is needed or small exact movements are demanded. Applications like closing/opening, adjusting, steering, pressing, lifting, etc. are simple and accurate to fulfil. A linear drive the OEM can rely on, also in heavy conditions! Custom made, lot of options, even a vision system. The Pladot electro-hydraulic actuator is a unique, innovative linear axis. It combines the capabilities and benefits of electric/mechanical linear drives with advantages of hydraulic linear drives, without the disadvantages of these systems! No gear, less parts, no tubing and no compressor needed. This offers unprecedented possibilities. Quiet, fast and accurately to the desired position. Plug and play, according to your requirements, this solution fits exactly in your OEM application. 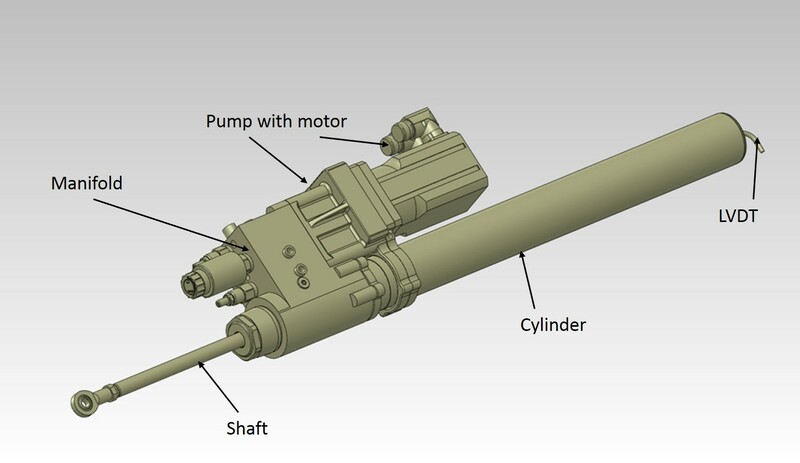 The basis is formed by a modern hydraulic cylinder on which, both the unique pump and the valve block with oil reservoir is integrated. Break down due to leakage or pipe burst is past. It results in a compact and clean design which meets the highest environmental requirements. Heavy duty, IP 68. With an integrated position sensor, optional controls and even a vision system is possible. Synchronization of multiple actuators (movement and speed), a master-slave unit or an efficient robot (X-Y/X-Y-Z) for heavy loads, simply can be realized.